"Today we've put renewable diesel made from tyres into this engine,” said Southern Oil Refineries’ general manager Ben Tabulo. “It is a normal engine as you would find in trucks and boats; there is nothing special about it." 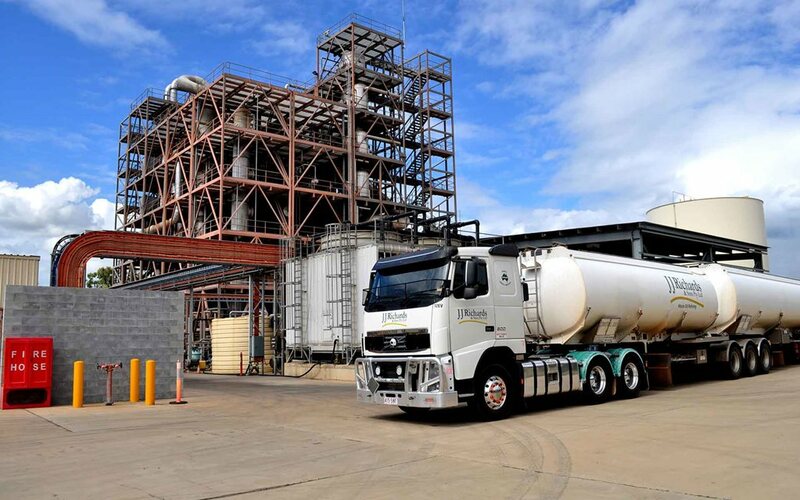 The plant, completed in 2017, uses passenger and commercial vehicle tyres, along with green waste from sugar cane milling and other sources, to produce crude oil, from which the biodiesel is refined. The base oil product can also be refined into aviation-spec kerosene, as well as engine and gearbox lubricants. The biodiesel can theoretically be used in regular commercial trucks, utes and passenger cars. One passenger car tyre can produce two litres of biodiesel, according to Tabulo. The company will ramp up production towards the end of 2019 to what it calls ‘demonstration’ levels, where it can produce between 10 and 20 million litres of the biodiesel product. There are plans to construct a $150 million plant in the Gladstone area, which will potentially be able to produce up to 200 million litres a year. Even that number is a fair way off the number needed to impact everyday supply, though, with more than 24 billion litres of diesel used in Australia every year. However, it can go some way towards shoring up our currently low levels of what’s known as fuel security. At present, Australia has only an 18-day supply of petroleum product on hand in the event of a ‘market failure’ (industrial sabotage, war and the like). The ideal figure is more like 90 days. READ MORE Is diesel dead? Southern Oils will also continue to test the product in the on-site Scania V8 to allay fears that the biodiesel will damage engines. "The engine will be run for about 12 to 18 months as we go through several testing stages from basic engine componentry, right up to acceleration and deceleration of the engine," Tabulo said. Biodiesel and diesel are the same product and work in the same way, but the Southern Oils fuel is produced entirely from recycled products. A car tyre has a high crude oil content, which can be recycled out of the used product. It’s then combined with agricultural biomass like bagasse (the pulpy mass left behind after sugar cane juice has been extracted), green waste from regional cities and woody weeds like prickly acacia. Australians dispose of about 50 million tyres per year, which are very difficult to dispose of in a traditional way.